In case for an emergency, visit this page. Also available for your animal. CT (Computed Tomography) is a research technique wherein the body is investigated with X-ray radiation. An X-ray tube is moving at high speed around the tunnel through which the patient moves. The tube emits a narrow beam of radiation through the body, which is captured by a detector on the other side. Our system (16 slice) contains 16 of these detectors, so very fast images with a very high resolution can be made. The scanner scans a defined part of the body in many slices, in which cross sections in any direction can be made and a 3D image of the scanned area is formed. The making of a CT-scan usually takes only a few minutes. A CT scanner uses x-rays. Therefore, you cannot attend your animal during the investigation. Making a scan takes only a short time, usually only a few minutes, where after the animal is removed from the scanner. During the examination, you can drink a cup of coffee or tea in the waiting room. It will be clear that you cannot answer questions two and three, if there is no diagnosis. Often we can still not come to a clear diagnosis using conventional research techniques such as X-rays and ultrasound. In many cases, the CT may provide a solution. Sometimes an MRI is a better option. 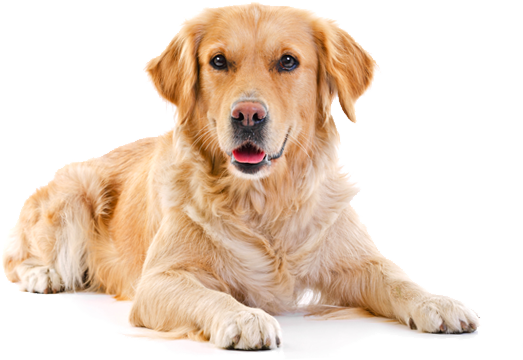 If you have made an appointment for an CT examination, your pet will need to be anesthetized. This is due to the fact that during the examination, he/she must not be allowed to move. A good preparation for surgery under general anesthesia starts at home. The day before the MRI your pet may not eat any food after 18:00 hrs. Water is allowed! On the day itself please walk you dog before coming to the clinic at the appointed time. If you bring your pet to us, you do so under the (correct) assumption that he/she is surrounded by the best medical care. Therefore, in all cases, we perform a physical examination before the animal is put to sleep. There we pay special attention to the heart and lungs. If another vet refers you to us, please bring the medical history of your pet with you (including any blood tests and or x-rays). Just as with medicine for humans, the anesthetics in veterinary medicine are very safe. For a healthy animal the risks of anesthesia are minimal. However, if there are any pre-existing health problems, going under anesthetic can cause certain problems. If the pre-op search does not reveal an problems, our team can confidently bring your animal under anesthesia and begin with the examination. During the anesthesia the animal is monitored continuously. After the investigation the animal is awakened, and is normally allowed to go home. Once the results of the animal study and all the images are received, we will then study the results before making a diagnosis. This diagnosis is often immediately made after the examination. If necessary, images can be additional submitted to experts in the field of medical imaging: Dr. I Gielen and Prof. H van Bree of the Rijksuniversiteit Gent. If you are with us on a referral basis through your own vet, you will be referred back to them for the results and a treatment plan, we will of course send them a complete report of our findings. *These prices include anesthesia but exclusive of any contrast and/or review by a radiologist.